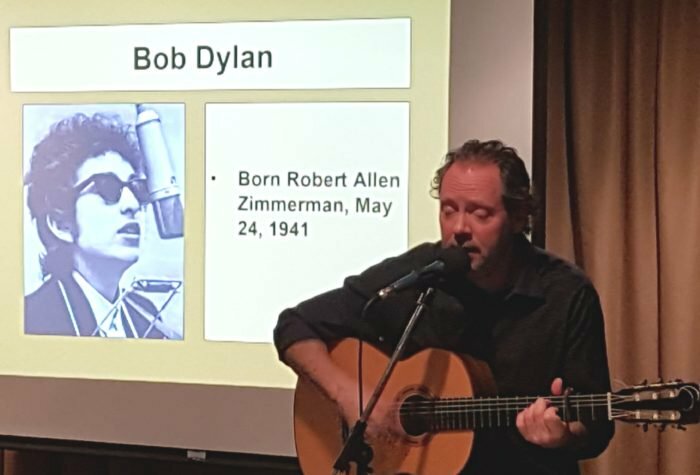 Inger Copland, who lives with husband Bill Fennell at United’s Fish Creek West, recalls the day they visited the Fish Creek community during an open house in 2016. 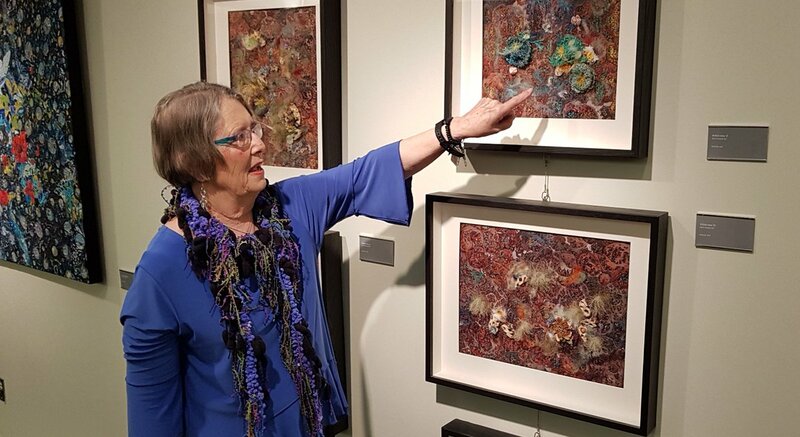 “Bill and I had been talking about making a move from our home, but we weren’t sure what that would look like,” said Inger. The community took a unique approach when it was planned. 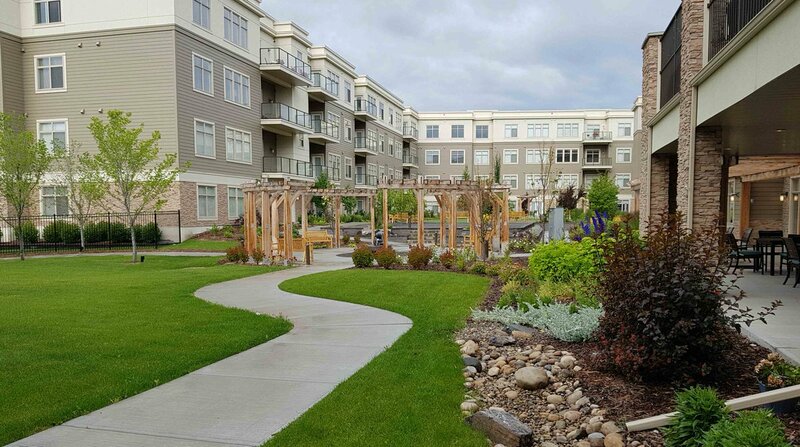 Fish Creek West is designed for independent living, while Fish Creek North is intended for those who need extra assistance. Inger and Bill, who were married in 1998, chose a one-bedroom, two-bath suite on the fourth floor facing the mountains. Bill, who retired some 15 years ago after careers in construction and financial management had a condo in Mckenzie’s Mountain Park Estates. Inger was born and raised in Norway. She worked for Norwegian Cruise Lines and met Bill on a cruise. She moved to Calgary after they were married. 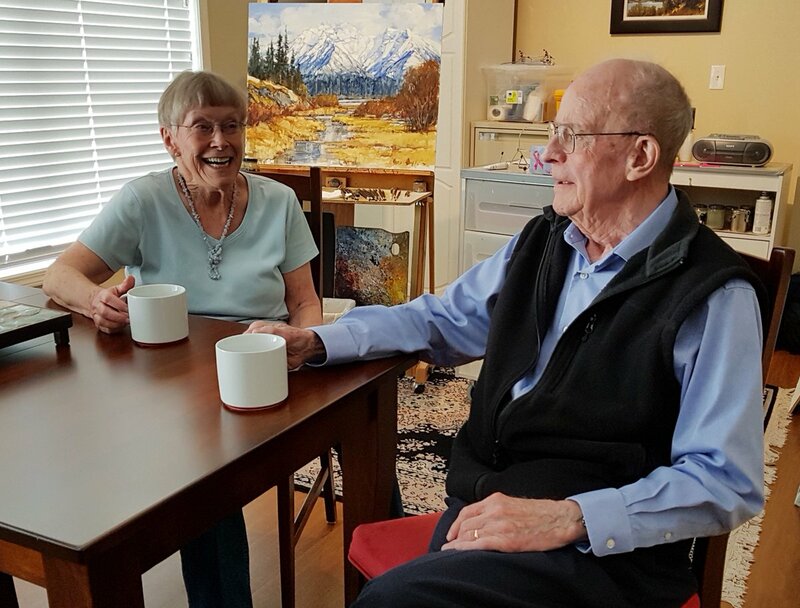 Both Inger and Bill are impressed with the quality of the programs available to residents. “There is more opportunity to do more things,” said Bill. He plays cribbage in the evenings while Inger pursues her painting in the art studio. Bill also enjoys the political discussions with visiting academics. “We wouldn’t have those if we still lived at home,” said Bill. Both Inger and Bill are working with students from nearby St. Mary’s University who are involved in a writing program similar to United’s writers-in-residence program, which has been operating for several years with students from Mount Royal University. The students conduct interviews, and are considering producing a book and a video about the residents’ lives. Interested in learning more about life at Fish Creek? We’re having an open house in the community on Saturday, April 13 from 11 a.m. to 4.30 p.m. so be sure to mark your calendar and let your friends and family know. Register at the open house for a chance to win an entertainment gift basket. If you plan on coming out, please let us know at rsvp@unitedactiveliving.com or call us at 403-471-3735. Photos by United Active Living, Video by Sherana Productions. Why wait? Arrange a tour today! Lunch is on us! 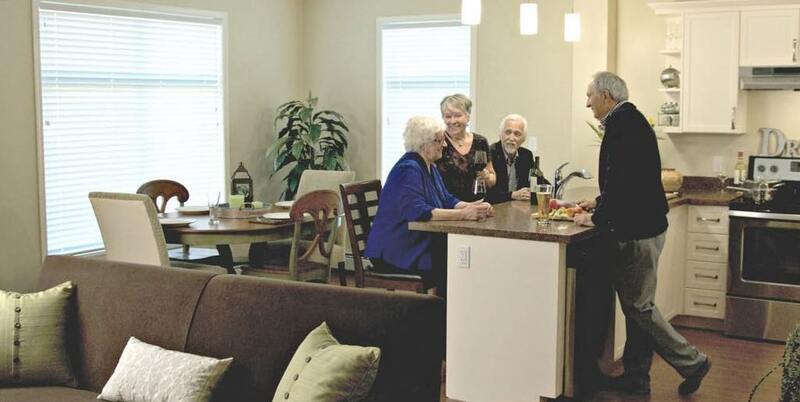 Do you know a friend or family member who could benefit from living in a United community? Send them a link to our website or blog, or arrange a tour. We are happy to help! To learn more about life at United’s Fish Creek community, watch this short video. 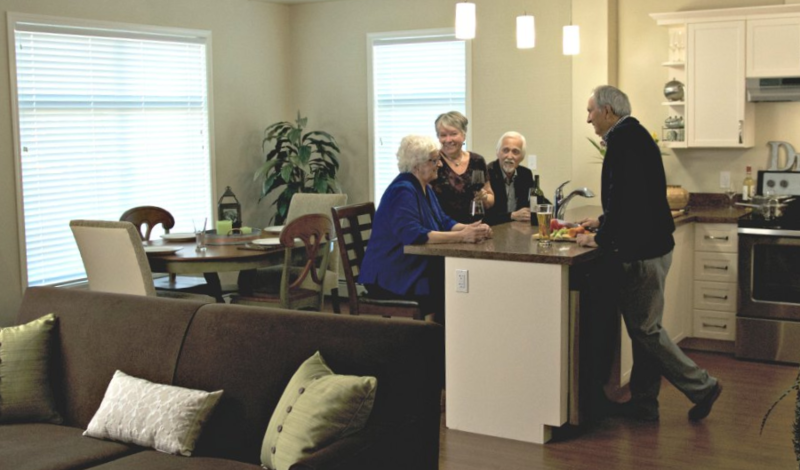 United Active Living's approach helps residents to enjoy a better quality of life and general well-being as they age. 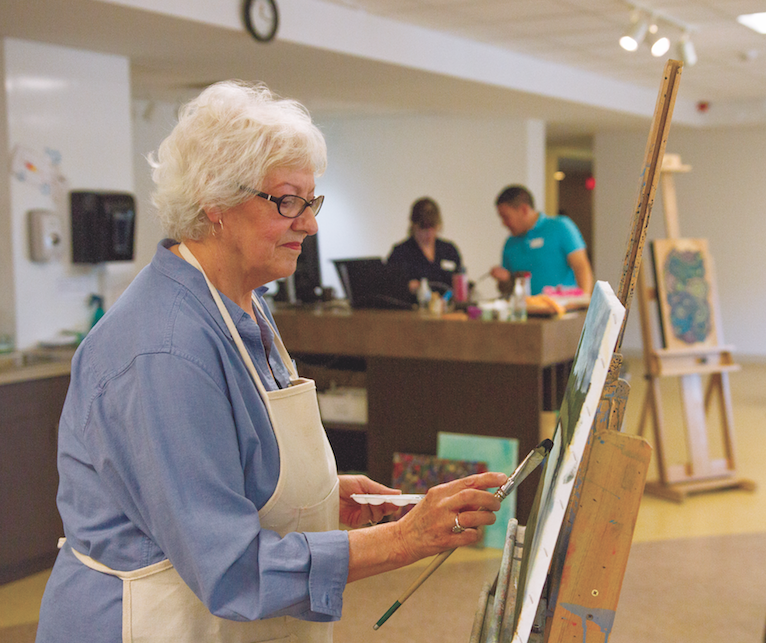 United aims to transform the experience of aging through a strong commitment to active living, utilizing the arts to express creativity, and a strong sense of community to bring people together. Visit our Social Media pages and join the conversation.